The Lynchburg Region’s art scene is one of quality and variety. From art exhibitions to concerts, to theater productions, to orchestra and opera, the Region abounds with offerings. Opera on the James, celebrating its 13th Season, is an OPERA AMERICA Level Four Professional Company in Lynchburg. The company produces two fully-staged opera events with orchestra each season, as well as a mid-winter concert, short opera, or Cabaret. The company offers a community outreach program of performances and lectures in schools, community venues, and in the opera building at 701 Main Street. The Tyler Young Artist Program, a quartet of singers chosen through national auditions, performs the majority of community programs. The Lynchburg Symphony Orchestra has been an integral part of the cultural fabric of the Lynchburg Region since it began in 1983. Over the years the LSO has performed more than 200 concerts ranging from classical to pops and provided annual educational concerts to over 10,000 children at local schools and community centers. Celebrities performing with the orchestra include Tony Award-winning actress and singer Faith Prince, pianist Gustavo Romero, and country musicians Emmy Lou Harris and Roy Clark. Dr. Christopher Swanson is conductor and music director. 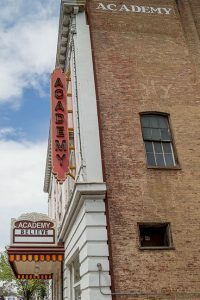 The Academy Center for the Arts, built in the early 1900s, is undergoing extensive renovations to return the Academy to its original Beaux-Arts glory. Despite construction, the Academy regularly presents concerts, movie nights, plays, gallery exhibits, art talks and classes. In the past, the Academy was host to entertainment icons such as Sarah Bernhardt, Harry Houdini, Pavlova, Mary Pickford, and Will Rogers. 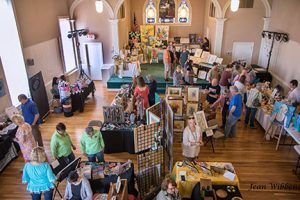 The Lynchburg Arts Festival, held annually in September, attracts artists and art lovers from across Virginia. The Lynchburg Art Club and Gallery offers monthly exhibits in the galleries, workshops and classes. The third floor has been reclaimed as an environmentally stable storage area with more studio space. The Bedford Artisan Trail showcases more than 80 artists, craftsmen, orchards and wineries who support the arts and agri-tourism. Amherst Glebe Arts Response, Inc. (AGAR) in Clifford, Va. is a non-profit organization that produces and presents performances and workshops in music, theater, dance, poetry, historical readings, and lectures. It also facilitates exhibits of visual art and film and conducts Amherst County oral history projects. AGAR was a major presenter for the heritage celebration of the 250th Anniversary of Amherst County and the 100th Anniversary events for the Town of Amherst. The Bower Center for the Arts in Bedford is the area’s cultural center of visual and performing arts, education, community engagement, and personal enrichment. The Center offers concerts featuring a variety of music, as well as music and art classes. The Virginia Center for the Creative Arts in Amherst County is a nationally known retreat for writers, artists, and composers. The Region’s Parks and Recreation departments offer a wide range of art classes from beading to sculpture. Lynchburg College’s Daura Gallery features the works of Catalan artist Pierre Daura and has exhibitions of artists such as Queena Stovall. The Daura exhibitions are free and open to the public. The Maier Museum of Art at Randolph College showcases works by notable artists such Georgia O’Keeffe and Edward Hopper. The gallery is open to the public. Sweet Briar College’s Anne Gary Pannell Center is the College’s principal art gallery and home to its art history program. 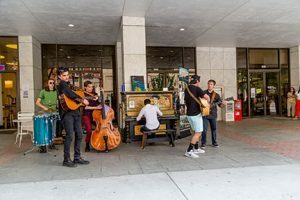 First Fridays is a monthly event in downtown Lynchburg when local arts organizations and galleries stay open late to debut performances, hold openings, and exhibit new works. Second Fridays in Bedford provides opportunities for visitors to experience the unique shops, restaurants, and art venues in Bedford’s Centertown. Riverviews Artspace is a non-profit arts organization committed to presenting contemporary art exhibitions and multi-disciplinary programs and events. 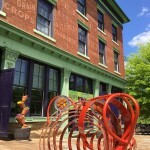 Located in historic downtown Lynchburg, Riverviews provides gallery and studio space for established and emerging artists and other creatives and is an active partner in downtown revitalization. 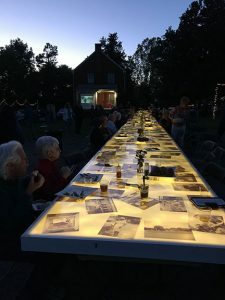 Cultivate Amherst organized an art/food event to celebrate the county’s history. The Jefferson Choral Society, a community chorus based in Lynchburg, performs music ranging from Mozart to show tunes. The chorus has performed at Carnegie Hall, the Washington National Cathedral and across Europe. Little Town Players in Bedford has presented live theater to the community for more than 40 years. Shows range from musicals to drama. Lynchburg’s Endstation Theatre Company hosts a summer series featuring re-imagined versions of well-known plays and works by budding playwrights from throughout the U. S.
Renaissance Theatre is Lynchburg’s oldest community theater and is known for ambitious productions such as The Full Monty. Wolfbane Productions in Appomattox offers unique theater experiences such as Evil Dead: The Musical and Bloody, Bloody Andrew Jackson. The Hannah Reynolds Story and Wolfbane’s Romeo & Juliet are performed at the Appomattox Court House National Historical Park. Wolfbane also hosts a ghost tour at the Old Crawford Farm, named the most haunted location in Virginia and listed in the top 25 most haunted in the nation. 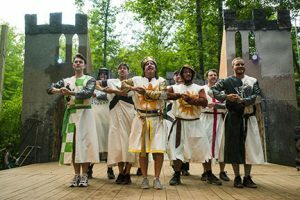 Liberty University’s Department of Theatre Arts produces six shows each season between two stages: Tower Theater and Box Theater. Located in Green Hall, the Tower Theater is home to the Alluvion Stage Company, a non-profit, professional theater company. The Box Theater held its official Grand Opening in October 2017 with the inaugural production, Wait Until Dark. Liberty’s Winterfest, a weekend of concerts and activities held over the New Year’s weekend, attracts thousands of young visitors to the area. 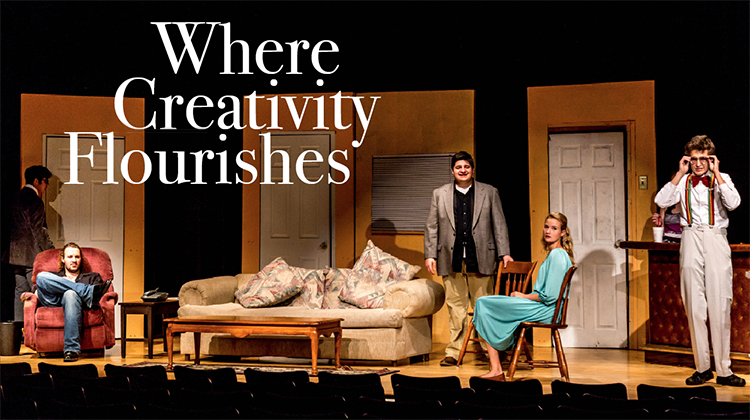 Lynchburg College, Randolph College and Sweet Briar College also have active theater programs and provide opportunities to fledging actors, actresses, musicians and artists. E. C. Glass and Heritage high schools in Lynchburg have excellent theater programs as do Brookville High School in Campbell County and Jefferson Forest High School in Bedford County. Dunbar Middle School in Lynchburg presents classics such as Singin’ in the Rain and South Pacific.